The routing information protocol is an industry-standard distance vector routing protocol available to all vendors. 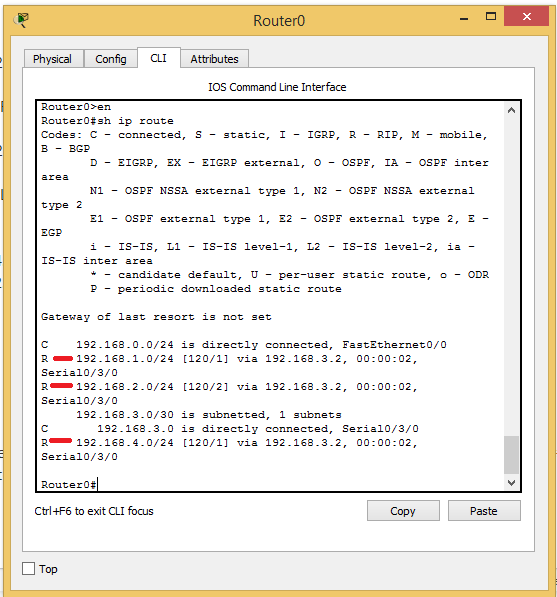 It is one of the most popular dynamic routing protocols, howbeit, its limitations. 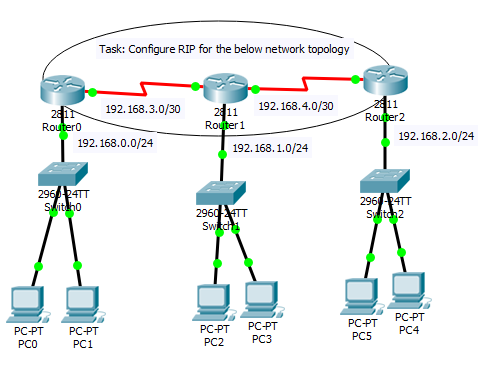 In this Lab, I will share with us on how to implement RIP on Packet Tracer for a network topology with three Cisco routers. Before I proceed to the configuration proper for this lab, Let’s look at a few things about RIP worth committing to memory. 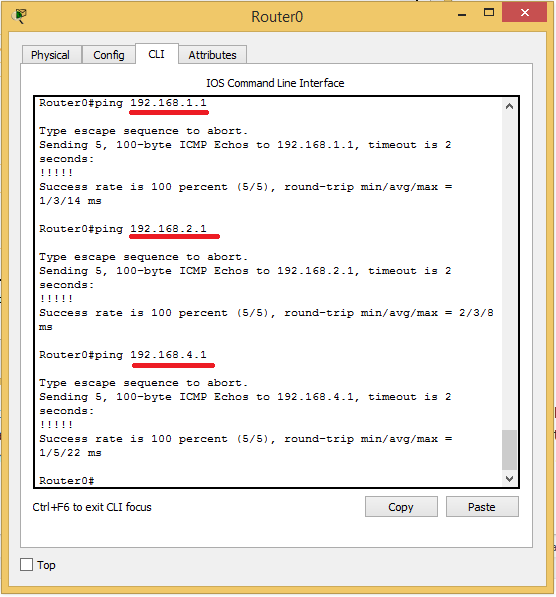 RIP has no support for classless addressing and variable length subnetmask (VLSM). RIPv2 does. The imlementation of this lab involves entering the below codes on all three routers, starting from Router0. That’s it guys. to get the Packet Tracer file for this lab, kindly subscribe to this blog and it will be sent to your email address. To read more on Cisco RIP implementation, see Cisco official RIP documentation.